Living abroad can be more affordable than you might think. GOBankingRates determined the cheapest travel destinations with affordable rent. Some of the top travel destinations in the world made the list, including Athens, Barcelona and Rome. Why is it so hard to come home from vacation? Returning to reality can be bittersweet, with only pictures of your travels abroad to scroll through — gelato in Rome, Gaudi’s La Sagrada Familia in Barcelona, the Parthenon in Greece. But what if you had the opportunity to set down roots in your favorite place without breaking the bank? To determine the cheapest destinations to live in, GOBankingRates analyzed 50 cities that Travel and Leisure and U.S. News Travel have identified as top places to visit. These cities were then broken down by average rent for a one-bedroom apartment and the average cost of living expenses, including utilities, groceries and transportation. These four sought-after destinations are among the top cities for affordable living. The average rent for a one-bedroom apartment in the U.S. is $1,264.81. But you can afford to live in these four popular travel destinations for far cheaper. The cost of living index in Mexico City is 63.66% lower than in New York, making it one of the most affordable cities to settle down. The average rent for a one-bedroom apartment here is $716.65 less than in the U.S. A one-way ticket on local transportation is only 5 Mexican pesos, which is 27 cents in U.S. currency. Utility costs are manageable at the equivalent of only $41.12 a month, allowing you to save money and explore this new city you could call home. 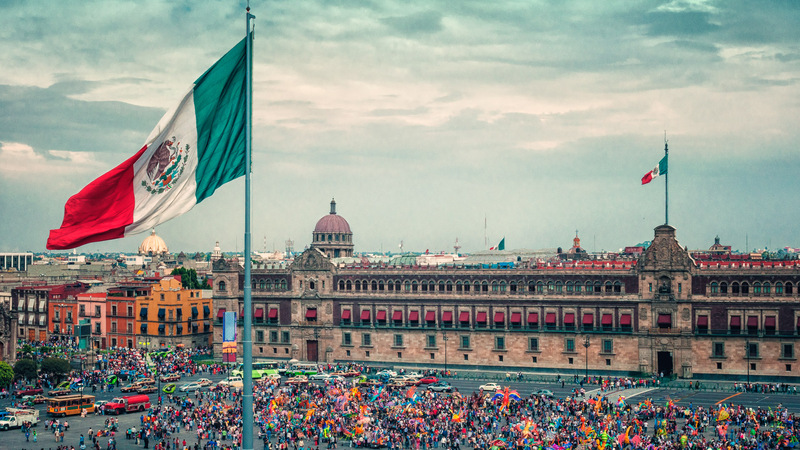 Residents and tourists alike can experience the rich culture that Mexico City has to offer. The city’s historic center, which was named a World Heritage site by UNESCO in 2007, is home to landmarks dating back to the Aztec era nestled next to cosmopolitan restaurants and world-class museums. Residents can frequent the Frida Kahlo Museum, which is located at her bright-blue former home. The cost of living in Athens is cheaper than in many other European capitals. The first settlement here dates back to 3,000 B.C., making it one of the oldest cities in the world. The city has an incredible transportation network, including buses, trams and the Athens metro. A monthly transportation pass will only cost you 30 euros, the equivalent of $33.89. Be sure to explore the city center, as well as the many museums and ancient temples in the area. 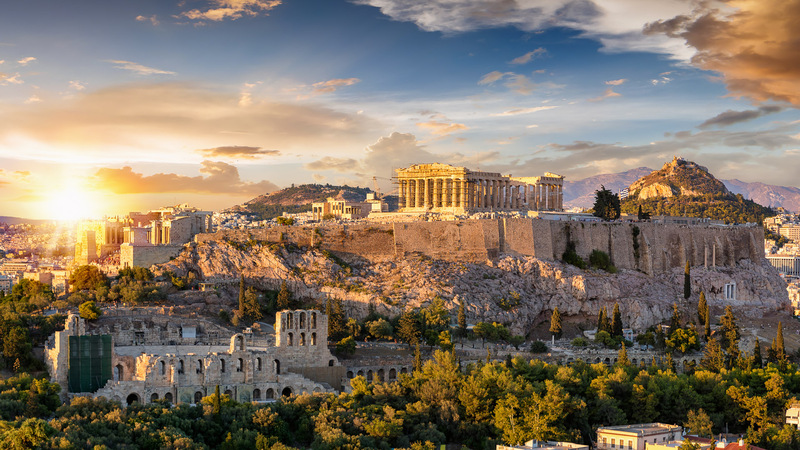 The Acropolis, and the Parthenon in its center, is one of the most popular places to explore in this antiquated city. The archaeological promenade is a 2.5-mile, pedestrian-only walkway linking all of the city’s major archaeological sites, making Athens an incredibly walkable city. Barcelona was ranked among the top 10 in Travel and Leisure’s list of the top 15 cities in Europe. Average rent prices in Barcelona are about 70.27% lower than in San Francisco, making this city an absolute bargain. The cost of necessities is also manageable, with residents spending an average of $159.48 on utilities and $237.19 on groceries. Las Ramblas is located right in the middle of the action. The pedestrian-only street cuts through the heart of the city center, where you can enjoy the vast array of markets, shops and cafes. If you’re a fan of Gaudí, La Sagrada Familia is a must-see. Though unfinished, it is a stunning example of his work. 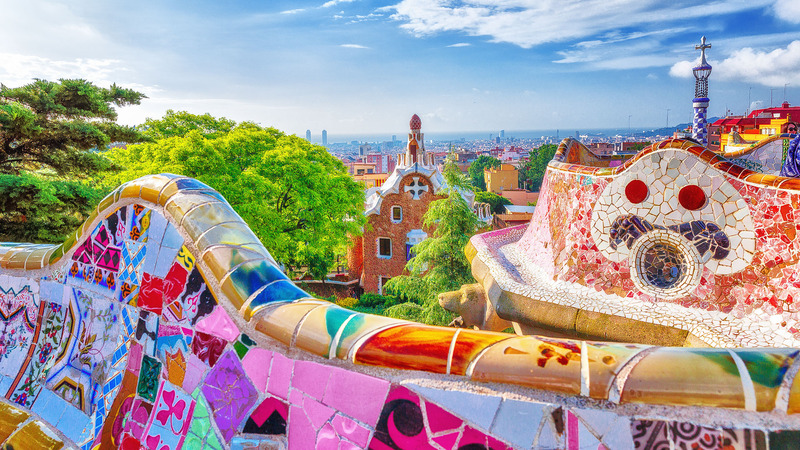 Park Güell offers even more of Gaudí’s work, as well as one of the largest green spaces in all of Barcelona. The poet Virgil eloquently described Rome as “an empire without end.” Expats and visitors alike continue to flock to this ancient city to explore incredible architecture, art and fashion. A one-bedroom apartment in Rome will cost you $1,138.94, which is still well below the average rent in the U.S. The cost of living index in Rome is 29.28% lower than in New York. Though wine is not cheaper than water in Italy, you can still grab a mid-range bottle for only 5 euros. Relocating to Rome would put you in close proximity to its many museums. You will never get bored of strolling the streets of the city. 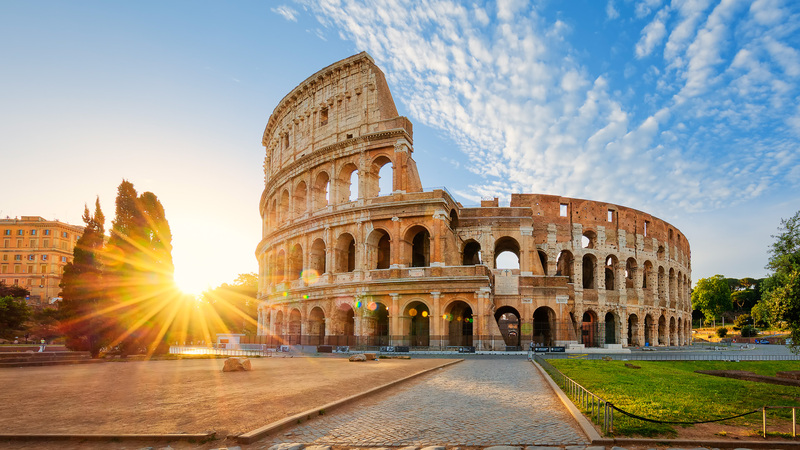 The historic center of Rome is one of the most impressive UNESCO World Heritage sites with the Colosseum, the Pantheon and Trevi Fountain within walking distance of one another. Do not forget to visit the Sistine Chapel in Vatican City and see the famous ceiling panels that took Michaelangelo four years to paint. Keep reading to find out whether money can buy happiness in other parts of the world. Methodology: GOBankingRates generated its list of vacation destinations from Travel and Leisure’s list of the best places to travel in 2019 as well as U.S. News Travel’s lists of the world’s best places to visit in 2018-19, the best places to visit in the U.S., and the best places to visit in Europe. From there, GOBankingRates analyzed 50 cities that made this list in terms of (1) average rent for a one-bedroom apartment near the city center, (2) average monthly cost of utilities, (3) average monthly cost of groceries, and (4) the cost of a monthly public transportation pass sourced from Numbeo. These four factors were scored and then combined for an overall score and compared to the average monthly cost of living for the United States, which was also sourced from Numbeo. The cities presented in this list all came in under the average monthly cost of living for the United States. All data was compiled on March 5, 2019. 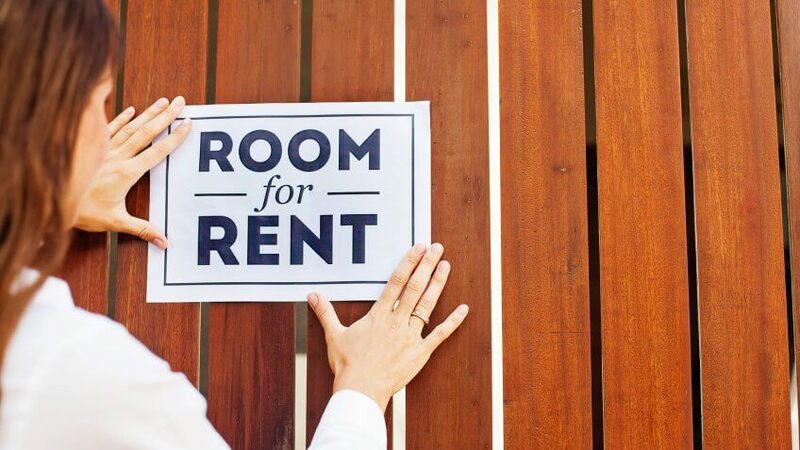 If these reasons apply, you might want to stick to renting.